It’s already August! Since we’ve started the Classical Music Big Kids Club we’ve completed our exploration of the different families within the orchestra! The goal all along has been to help make connections with something our kids know and something new we want them to learn. What about finding animals in the shapes of the instruments? 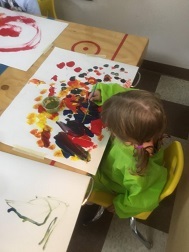 Painting with music encorages children to look at their range of emotions and develope their fine motor skills! They look at it, they imagine and create! Kids are curious and they explore everything! When they find something new they move or shake it! Where is the sound? What does it sounds like? 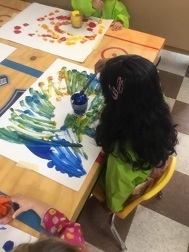 They look at it, they imagine and create! We play games designed to challenge this curiosity. 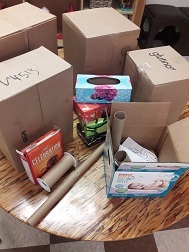 From hidden clues to find in order to open a mysterious box to all sorts of instruments and objects used to represent an orchestra, all ready to be played with and many roles to be taken on! Exploring the world and oneself with music is a great way to learn gross motor skills. We’ve been dancing, singing and pretending to be part of an orchestra! Children see us all the time guiding activities and it's great when they can lead the activity themselves, where they can be a conductor and get the chance to teach others how to move and where to go! Through this they are learning and improving their language skills and working in groups. Some children can be straight forward, others are shy, but the most important thing is that they understand that there is always something to say and someone to listen and smile! Making others laugh and laughing with them is the best feeling ever! We have fun and we help each other! In this Big Kids Club we made it a point to show that MUSIC is EVERYWHERE. This means showing that the city we live in and the sounds it makes can be surprising! 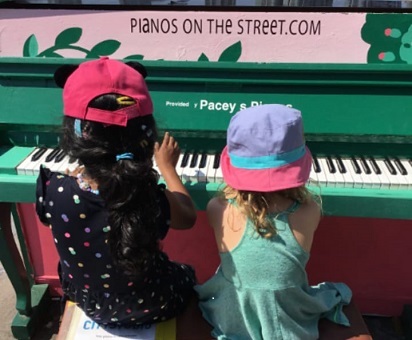 We went to a field trip to see Pianos on the Street and it was awesome to find a stylish piano and incredible view at False Creek. I personally love what this initiative is doing. We often associate classical music with an activity that is not accessible for everybody, expensive theaters, people dressed up and... black pianos! 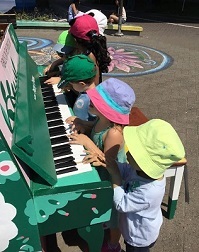 They have brought out amazingly colorful pianos painted by local artists and placed them throughout our city. It was great to bring everyone to see this colorful piano in front of the sea, what an incredible place to listen to the best live music! Classical music is no longer the exclusive thing it once was. Nothing is more enjoyable than experiencing the spontaneous talent from an anonymous someone that wants to share something with you! This is one of the main points of our field trips. We bring the kids the opportunity to interact with and respect the environment and the city and it’s a good opportunity to learn about safety. 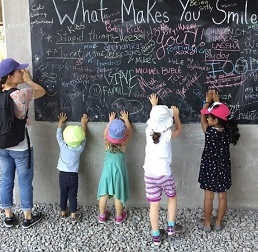 Our field trips allow children to socialize and make new friends, care about the others, share experiences and the last but not the least...build up memories! 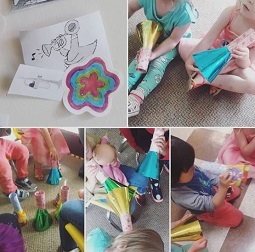 August is for Buddings Big Kid Musicians! 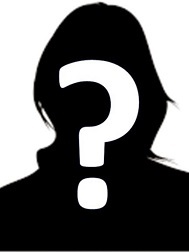 This upcoming month we will be introducing a few representative composers. Mozart, Beethoven and Vivaldi are waiting for us! 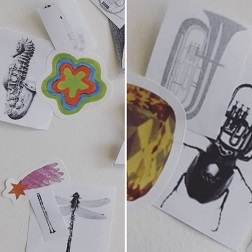 I based this whole BKC on the idea that we can feel tons of emotions when we are listening to Mozart’s Magic Flute and also that we can actually see birds when listening to woodwinds instruments. We learned about the power and expression of the individual instruments and now we’re going to explore what they can do together. Just like our children can accomplish incredible things by themselves they can also be great as a team! On August 28th Buddings will hold a STUNNING CONCERT with our recycled orchestra and host a SPECIAL GUEST! Stay tuned for details!